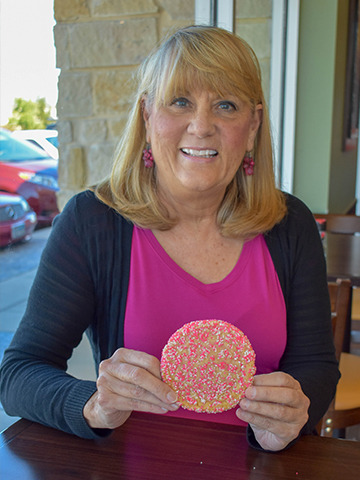 When The Saxton Group announced its sixth Cookies for a Cause Campaign in support of National Breast Cancer Foundation, it resonated with Cindy Blair. 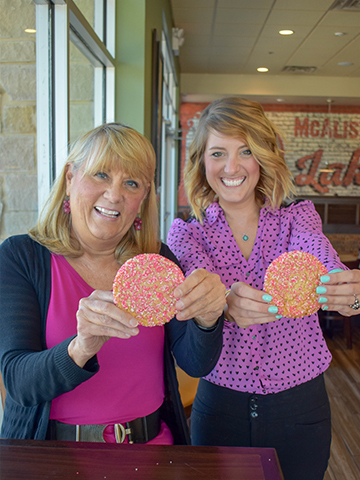 As a 20-year breast cancer survivor and the mother of Brittany Mixon, Assistant Manager of the McAlister’s Deli in Lake Highlands, Texas, Cindy was proud to represent a powerful cause and more than willing to reflect on her past. She and Brittany, her first and only child, have been through what most couldn’t fathom. Cancer was a constant companion in their household, but fear, vulnerability and weakness were not. These women experienced hardship and pain, but together, they endured. 1987 marked the beginning of a very bittersweet stage for Cindy. After two years of struggle, she was pleased to find that she had become pregnant with now-daughter Brittany. On the other hand, she was informed that her husband had a brain tumor. Cindy soon became the primary caretaker for both her spouse and newborn. After 11 years of providing for her husband, Cindy was diagnosed with breast cancer in the midst of it all. At the time, illness was nothing new. 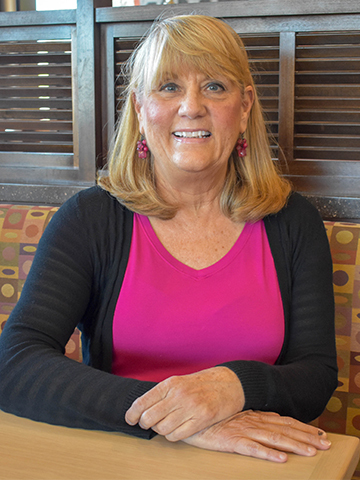 Cindy had already spent over a decade supporting her husband and admiring his continuous persistence, and she had previously watched her mother battle ovarian cancer for 39 years. With two great examples to go by, Cindy knew it was crucial to remain positive and reject fear. In Brittany’s words, “When you get the news, you can take it one way, or you can take it the other way.” Cindy did what she needed to, just as her husband and mother had; she persevered. Cindy and Brittany have developed an unbreakable bond, true respect and deep appreciation. For Cindy, she’s in awe of how far Brittany has come, “She’s a trooper, she’s a survivor too.” As for Brittany, her mother’s bravery and tough nature never ceases to amaze her, “You’re the strongest woman I know.” The mother and daughter duo are a relentless force prepared to confront any barrier hindering the road that lies ahead. In more candid terms, Kelly Clarkson’s “What Doesn’t Kill You Makes You Stronger” seamlessly defines Brittany and Cindy’s outlook. Regardless of what’s thrown their way, Brittany and Cindy show no sign of surrendering.